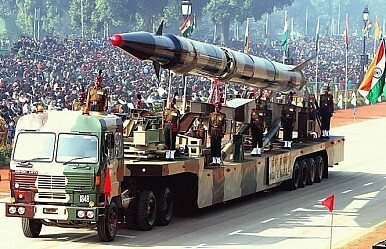 China’s planned nuclear reactors sale to Pakistan highlights the risk of war on the Subcontinent. It could also increase it. Pakistani President Asif Ali Zardari has just concluded a visit to China on a trip that attracted particular attention because of Beijing’s contentious plan to sell two nuclear reactors to Pakistan. There’s nothing new about Zardari visiting China—in fact he’s been a regular guest there since taking office, having travelled to Beijing five times since September 2008. The frequency of the visits (on average about once every about three months) is likely largely aimed at reassuring Chinese policymakers who preferred dealing with his authoritarian predecessor, Gen. Pervez Musharraf. But although ostensibly, the latest trip was over whether China will sell the two additional nuclear reactors to Pakistan, the meeting also raises deeper—and in many ways more troubling—questions about the dynamics of Asia’s nuclear proliferation. China is eager to sell Pakistan additional reactors, having already constructed one 325-Megawatt nuclear power reactor at Chasma (sometimes Chashma), in Pakistan’s Punjab Province, while construction on another should be completed in 2011 or 2012. During a visit by Zardari to Beijing in March 2009, Chinese officials reportedly reaffirmed their commitment to provide two more reactors; this May, two Chinese companies signed a contract to join in construction. The Chinese government has yet to announce a formal decision to proceed with the transaction. But for several years now, its representatives and Chinese nuclear security experts have claimed that they had agreed to build the two reactors before China joined the Nuclear Suppliers Group (NSG) in 2004, making the sale exempt from NSG rules excluding the sale of nuclear technologies to countries like Pakistan that haven’t signed the Nuclear Non-Proliferation Treaty. (They’ve offered other public defences of the sale, including that Pakistanis desperately need more electricity). Such protestations haven’t stopped the US, UK and Indian governments from objecting to the sale and disputing Chinese assertions that ‘grandfathering’ exempts any nuclear deals agreed to before a country enters the NSG. But their efforts at pressing Chinese representatives attending the annual NSG plenary meeting in Christchurch late last month didn’t bear any fruit. US State Department Spokesman Philip Crowley, speaking last month, indicated that the United States was potentially troubled by the Chinese plan and said it was ‘looking for more information’ from China on what it’s potentially proposing, and stating the deal would need the agreement of the NSG. But such concerns have failed to move China, with Chinese officials perhaps calculating that Washington and others ultimately won’t try to expel China from the NSG or retaliate in other ways if the sale occurs because they need Beijing’s assistance on other nuclear non-proliferation issues, including Iran and North Korea.